I have always been a great believer in Obedience Training for your dog. I belonged to a dog obedience club in Northern OH and attended several obedience dog courses in Southeastern OH. There usually is a Puppy course where you have fun and you start to teach your little friend some very basic commands that come in very handy. It is like preschool for children. Besides both you and your puppy learning a lot, it is FUN. Dogs love to go and visit other dogs and show off. The bond between you and your best friend grows even deeper when you spend time training him/her one on one. Dogs love to please their owners, but often don't know what actions are right and what are wrong. Please consider attending Obedience Training for your puppy or older dog. Old dogs CAN LEARN NEW TRICKS. So many dogs that are at the shelters have NO TRAINING at all. No wonder people are not interested in adopting them. If you are serious about owning a dog, please be serious about training him/her. It will be the best doggie investment that you can make. There are tons of books available for sale, in the library and on line. 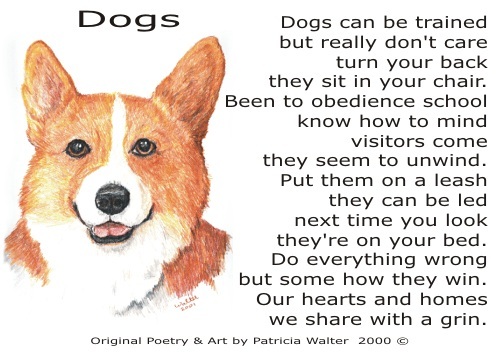 If you are new to doggie ownership, please take time to read about dogs! !